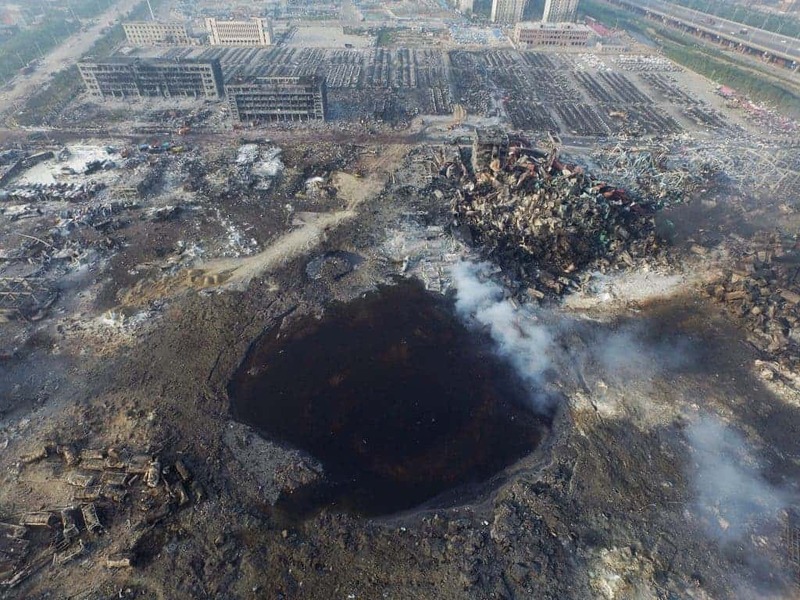 Just before midnight, last Wednesday, a devastating explosion occurred in the Chinese port city of Tianjin. 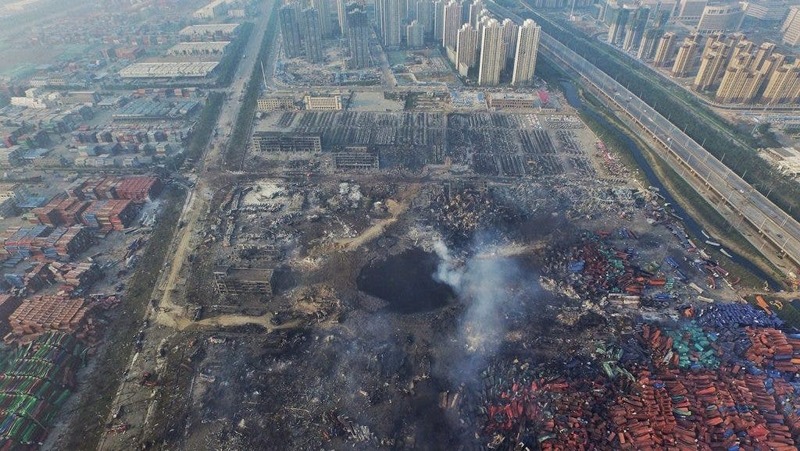 The blast took place in some chemical containers with a force equivalent to two dozen tons of TNT, killing 85 and relocating citizens over a 3-mile radius. 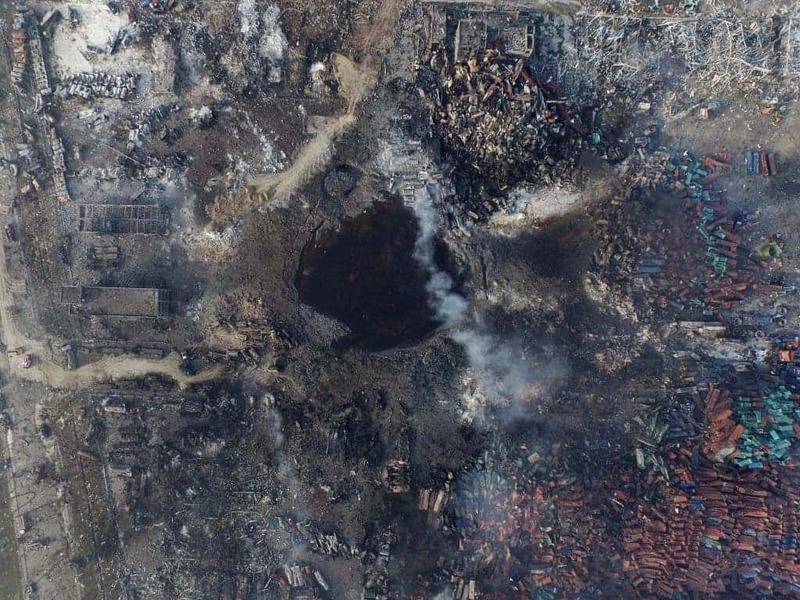 These aerial photos shared by Quartz, document the dramatic event which paralyzed a whole city for days and was witnessed from space. 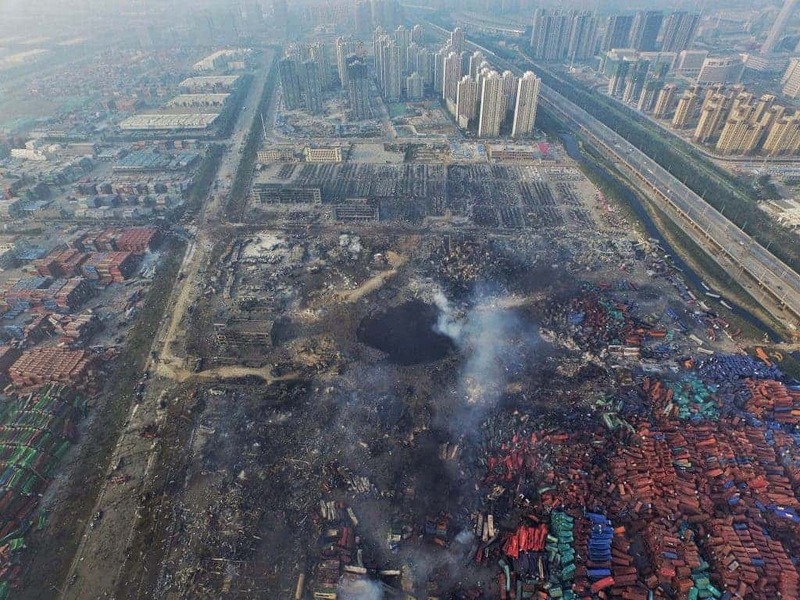 Explosions continued to happen days after the initial event, whose cause has yet to be identified.